Having run two marathons in Walt Disney World and Chicago since the storm hit, I was ready to run again. 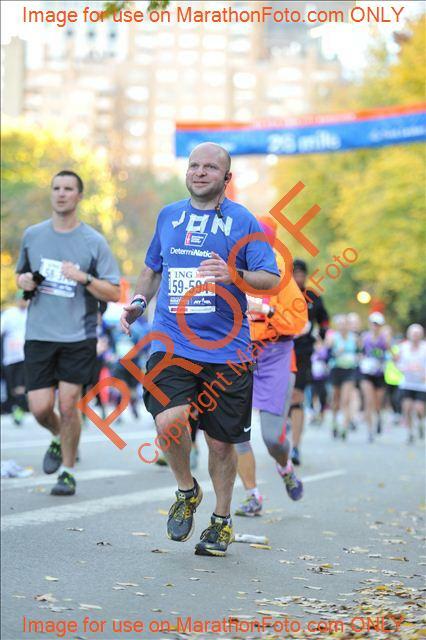 The Chicago Marathon was three weeks prior to the NYC Marathon, but I felt fully healed and ready to take on those 26.2 miles. An early bus took Team DetermiNation to Fort Wadsworth, where our charity tent to prepare for the race was. Security was quite evident as we approached, but it was fairly inconsistent. Some people were told to toss their mylar blankets, while others (including myself) were allowed to take them inside. Once we passed the NYPD and the security checkpoint, we headed to the charity village, where we waited in relative comfort until our waves were called to head towards the corrals. I was in the fourth and final wave, so I was in the last group to approach the corrals and the start of the race. My 10:55 start time was later than I would have preferred, being more prone towards a start like Chicago’s 8am, but such things are beyond my control. With the sound of the cannon, we were off and headed towards the Verrazano Bridge, which took us uphill off Staten Island and towards Brooklyn. The crowds were fairly large through most of Brooklyn, and I was able to see some friends along the way, including Alex, who jumped in around mile 4 to take some pictures and video of me as I ran by. For most of Brooklyn, I was able to maintain an average split of approximately 10 minutes per mile and was feeling really strong about maintaining it to achieve 2:15:21 for the half marathon. The large crowds slowly ebbed as we approached the Pulaski Bridge that took us from Brooklyn to Queens just past the half marathon point. The crowds in Queens were evident, but not as large as the ones in Brooklyn. The run through Queens only lasted two miles, but was relatively calm compared to what we knew came soon after. The Queensborough Bridge was a steep climb that led to an equally steep downhill as it took us the better part of a mile to approach Manhattan. A quick turn off the bridge (and a very short pitstop at the only porta-potties I saw with absolutely no lines at the base of the bridge) took us to First Avenue. First Avenue was a mad house. It’s very popular for New Yorkers to drink and cheer for their friends this long stretch of road. Soon after the bridge, my friends Joey and Yuliya were taking pictures of me and other DetermiNators who ran past them. I didn’t recognize anyone else for a long stretch (although people told me after that they saw me), until I got to 110th St. It was there that I saw Jessica, Deb and a whole crew of Team DetermiNation cheering, including our head coach Ramon. Once I passed them, I was soon into Harlem and heading up towards the Bronx. Unfortunately, this was also where my foot injury started making a reappearance. Prior to the running season, I had been feeling pain due to a tendon in my foot, which I had gotten looked at and was treating, but decided the race would be a good time to ache. The Bronx was a short mile and a half loop, but I saw my coach Cider up there who ran a block or two with me in her tutu. As I headed for the bridge back into Manhattan, I saw Ed – another coach – who cheered me on before I returned to the island and a gentleman who was proposing to his runner girlfriend on the side of the road. A straight run down Fifth Avenue was next, as the pain in my foot slowly grew worse. My time slowly grew worse as I had trouble maintaining the strong pace I had earlier in the race, but I made it to 110th St to see Jessica and Deb again and another group cheering from Team DetermiNation. It was energizing to see them, but it wasn’t too much longer when I had to start occasionally walking to alleviate the pain in my foot. I pushed on to 86th St, where we entered Central Park, and I pushed myself to do the last two miles as strong as I could. The crowds were packed as we moved through the park, cheering loudly as we ran the last two miles, exiting to run the south end of the park out on the street and around Columbus Circle before returning into the west side of Central Park to triumphantly pass the finish line and complete our 26.2 mile journey. While I can’t say I am happy that my foot affected my performance, I was able to complete the marathon in 4:48:52 and finish my Unifinished Business. 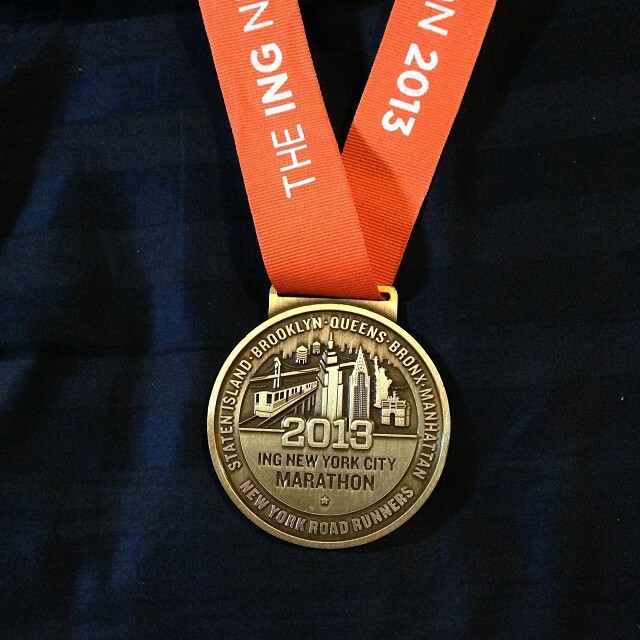 Having completed my fifth marathon, I can honestly say there is nothing like running the NYC Marathon, it truly is an unrivaled experience and one that I look forward to doing again next year!